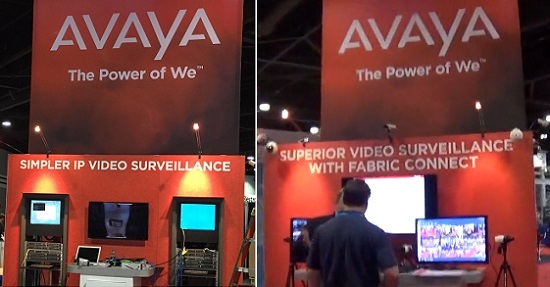 Avaya is best known as a VoIP spin off of former telecom giant Lucent, but this year they came to ASIS with a booth twice as big as Sony claiming "simpler ip video surveillance" and challenging integrators to see how fast they can set up a network using their "Fabric Connect" products. In this note we take a look at their claims, limitations and potential impact within the surveillance market. ******* **** ***** ** * **** **** *** ** ****** telecom ***** ******, *** **** **** **** **** ** **** with * ***** ***** ** *** ** **** ******** "************** ************" *** *********** *********** ** *** *** **** **** can *** ** * ******* ***** ***** "****** *******" ********. ** **** **** ** **** * **** ** ***** ******, limitations *** ********* ****** ****** *** ************ ******. ***** ** * ***** *** **** ********* ************ ***** *** spun *** **** ****** ** *** ***** *****. **** *** best ***** *** ***** ******** *********/**** ********, *** **** ***** conferencing, *******, ********, *** ***** ******* ********. **********, **** *** *********** *******, ******** *************** *****, *******, **, *** * *** ****** *** *********. *****'* ******* ********* *** ***** ************ ** ***** ** ****** ******* ***** ******-**, ** **** ******** ***** * ******** ** *** ** multicast ******** ******* ** *** ******** ********* (***,****, *** ******) ************* ****. ***** ****** **** ******** **** *****, ** ** ** *** protocol ******* ** ********, ******** ***** ***** ******* ******** *** much *******, *** *** ******* **** ******. *** ********* ***** ***** ***** * ***** **** ***** ******** of ****** *******. ***** *** *** **************** ****. *****'* **** ******** *** * ***** ******* ******** *** ******* gushing ******* ** *** ***** *****. *******, *** ** *** become *****'* ******** *********** ******* ** ** ** ******** ******* for ***** *** ***** ****** ** ** ********* ************. ***** ******* ********* *************, **** **************** ******** **** ******* **-** *** *********, ****** ***** ***** ****, *** they ** *** **** *** ****** ********* ********** ** ************ ***** makes **** ****** *******. ******* ******** ********* ********* ** ***** ****, ***** ***** ******* ********** in ***** ************. *** **** ******** ** ** ***** ******* ** *** ******* from *********, ** ** ** ********* **** ****** **** * ***** number ** ******* ** ********* *** ** *** *******, ********** of ****** *****.  *********, ** ** **** ****** ** *** in ***** *******, **** ** *******, **** ************, ** ***** corporate ********. **** ***** ******** **** ************ ** ******** ************* (*** *** have *** **** ****), ****** *********** **** * *** **** of ********* **** **** *********. ** ***** *****, ***** ** neither *** **** ******* ********** ******** *** ****** ** ********* or ************ **** ************. *** *** *********** ***** *** ******* *********, *****'* ********* ** history ** ************. ******* ** **** **** *** ******* ********, *** consultants, *** *****, *** *********** *** **** ****** ** ****** Avaya's ********** ******** ****, ********** ** ********* ********, ** ***** of ***** *** **** (****** ******** **** *******) ************. *****, *** ***, ** *** **** *** ********* **** *** there *** ******* ** '****' ******* **** ****** ***** ********, if ***** *********. ****** ** ** ******* **** ***** **** ** * ***** player **** **** ********, ** ** ******** **** **** **** a *** '*****' ******** / ******* **** ***** ******* ***** entry **** ***** ************. Be careful of your support of ISIS at these delicate times. Not a very popular acronym around the world. Is this some executive's ego trip? As saturated as this market is and being due for some consilidation, why would they want to start playing in this space? Didn't they learn anything from Cisco? Interesting article Ethan, thank you. Yes, I used to work for Pelco as their lead network architect and yes, I am a huge fan of the Avaya Fabric Connect technology. My previous job at Pelco was to assess networking gear from all vendors (Cisco, Enterasys, HP, Juniper ,etc) and place them in the Pelco compliance lab for testing. In the compliance lab, I tested both multicast and unicast Pelco solutions over networking vendors recommended topologies. I had in excess of 3000 video flows to test the various network vendors switches. When the Avaya gear was brought into the lab at Pelco, I initially refused to test SPB. When I finally got around to testing it.....yes it blew me away. The convergence times were extremely fast regardless of the load placed on the switches. I tried to break it..... I just couldn't. Ultimately that day is what eventually brought me to Avaya. 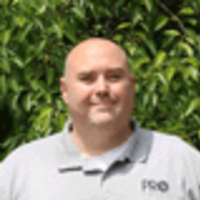 802.1aq is one of the most evolutionary changes I have seen in the networking field. It not only solves a lot of common problems for mission critical surveillance applications, it solves a lot of networking problems in general. That’s why Avaya is participating in the surveillance market to solve NETWORK problems (we’re not, and have no plans to be, in the camera / VMS market). Please reach out (contact info will be sent offline) I’d love to hear from you. Thanks, Darren. (Also re your point about the video testimonial - very valid! Now I’m with Avaya, my testimonial should be removed; I have asked marketing to do so - the video was created while I was still at Pelco). Much like Genetec is trying to with their new IP Phones offering. While I did come into Avaya as a Business Development Role, I am now the Director of Video Networking in the Business Unit. My role within the business unit is to define our strategy for Video Networking. I can assure you that Avaya has no intent on entering the Camera, VMS, or storage business. We are focused on providing a better networking platform for these products to run on . I imagine this is the ideal use case - mega green field network with lots of services and live video. If I had a telcom integration company, a cabling company and a secrity integration company, and was Avaya (Nortel etc) certified I would be pushing this protocol switch. I like Avay and they do not lightly make claims they cannot back up. I was there when Cisco went after the Voice over IP, and Avaya quietly took over the enterpise market for that product. The guys on the IEEE comitties are not slow but top notch people. If they can get mindshare watch out. Please read the "Beware" article. Interesting post Ethan. I ran the Americas indirect Channels at Fore Systems/Marconi and I can tell you that Avaya will do well with this (in my opinion) because they have an incredible installed base to take this to including the F1000, EDU and Govt/Municipal. The technology looks a lot like an off shoot of OSPF (Open Shortest Path First) routing. I wish them luck - next up in this space will likely be HP & Juniper in some capacity. You didn't think IP Surveillance would go un-noticed by the big boys on the block for too long did you? "You didn't think IP Surveillance would go un-noticed by the big boys on the block for too long did you?" Big IT companies have been failing / flailing in surveillance for a decade plus. Is there any clear success story? Good point. A the very least, the networking companies see Surveillance (and all video) as a network application. The more applications they can have on their network, the bigger the network infrastructure will need to be thus increasing their sales. A few possible strategies might be to 1)make it safe and easy to ride on their network or 2) formalize a strategy to partner with Surveillance vendors and the 3rd is to control it end to end with their own solution. 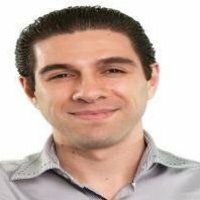 The 3rd will likely come through acquisition like Cisco did. There are not any clear success stories that I know of, but if they start jumping in, they will most likely buy a successful Surveillance company and leverage their existing customer base with a great solution. Cisco didn't do that and in my opinion jumped in too early. Thanks for the article Ethan. I know I'm late on this comment, but thought it relevent. We recently deployed at large multicast based CCTV project that was originally spec'd HP. The HP hardware was miserable to setup, and required firmware updates in order to route Multicast traffic correctly. We quickly aborted brought Avaya to the table using their 4850pwr+ line of switches. These switches are simply the best we've ever used. Their fabric technology reroutes traffic around a failed link without almost no perceptible interruption in live video. These switches are so fast that even incorrectly configured they will outmuscle any other switch. - we proved this by accidentally disabling IGMP snoop. Any other switch would have immediately choked, the 4850 kept on working. We only noticed the error during setup hours later when some uncharacteristic latency appeared. Their user interface is excellent with probably the best diagnostic and config utilities I have seen. Most importantly though, my tech support requests to HP, Cisco, etc generally disappear into an abyss. Avaya, picked up the phone and showed up. This is possibly due to the engineering support we have in my area, but they blew the competition away as far as presale design and aftersale support - hands down. We won't be using anything else by choice, anytime soon.